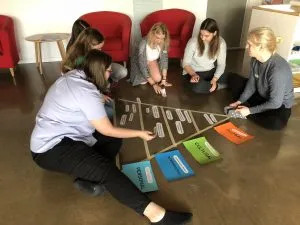 In 2011, AFS Intercultural launched the LINK Learning Program, a network-wide training which aims at expanding our staff and volunteers’ expertise in the field of Intercultural Learning (ICL). By doing so, we are paving the way to becoming interculturally competent global citizens. The program, divided into 4 levels, starts with the Level W or What Every AFSers Should Know About ICL. This course is the starting level and its goal is to introduce and standardize the basic skills and knowledge of ICL. As an educational organization, those skills and knowledge are the key to help us improve the quality of our network. Since February, Tinna Sveinsdóttir, from the AFS office, Alondra Silva Muñoz, a qualified trainer from Chile, and myself, came together to organize Iceland’s very first Level W training. 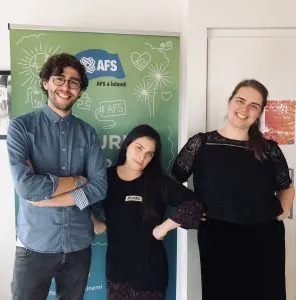 On April 7th, 12 participants, representing 3 countries, gathered together at the AFS office for what we believe was a successful first training. What was very interesting with this course is that it was not only a long lecture about intercultural learning; it was also very practical with many session where participants were encouraged to reflect and participate actively. We are now considering organizing it more often, and our long-term goal for this is that all of our active volunteers take part in the training. Hopefully, we will be able to hold this course again in the fall, and we are looking forward to seeing you there! To find more about the Link Learning Program, take a look here!